Syndicate ibc is known under several names. Along with sbobet it is one of 2 major asian bookies. I've added 1Bet(Bellona N.V.) and dafabet(Osmila N.V.) as it's odds are moving synchonously. It's an offshoot of IBC (ibcbet.com), mirrored offers, old money but new money also. Advertising heavily in asian forums and line services. Part of IBCbet many-faced syndicate's success, as mentioned there, were "their system of dynamic lines that actually keeps their position positive almost at all times". As well as heavy advertising, of course. Or, if we get to the bottom, generosity for it's affiliates. Same reason of success as for 1xbet: you may not have strong line as pinnacle but you will be advertised everywhere. 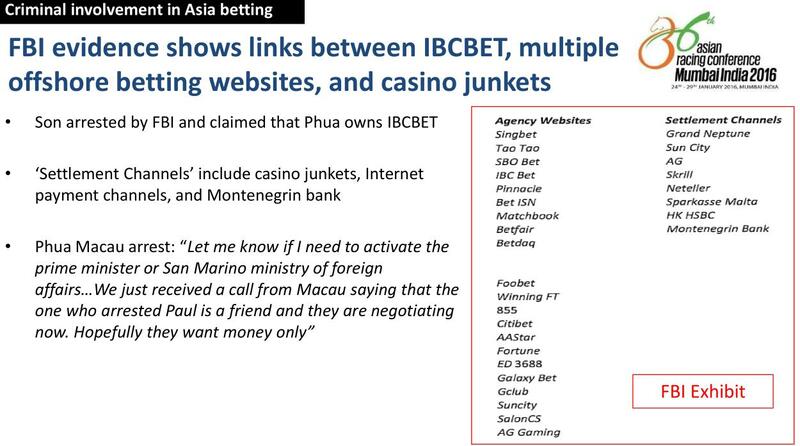 IBCBET was rebranded to Maxbet after it's owner Paul Phua was caught by FBI in the moment of organizing betting ring for high-rollers on US soil. 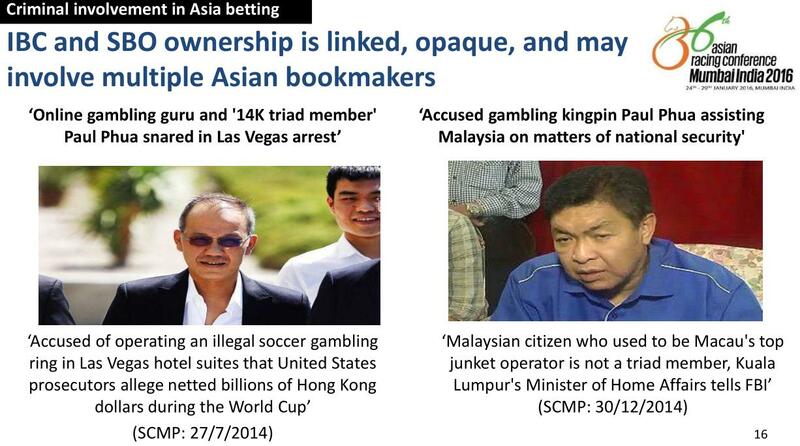 If was Phua's son Darren who revealed that Paul Phua was a majority owner of IBCBet. It was not only USA authorities who have investigated IBC's dirty operations. Police in Australia found out that unregulated betting exchanges in the Philippinnes including Maxbet were caught on money-laundering, organizing fixed matches and ties with criminal syndicates such as ruthless Asian triads. Unsurprisingly this pieces of information are not wide-spread in contradistinction to ubiquitous affiliates' promotions of ibc and sbobet filling all the top positions in search. In the same article in Herald Sun First Cagayan free economic zone outside of Phillippiness law was called unregulated, offering anonymity to criminals who need to launder drug money. In-play betting match fixing is easier as it's more likely to go unnoticed - for example, a corrupted tennis player deliberately losing a set. Ban of gambling is worse than regulating: "prohibition doesn't work, it is better to regulate and get a view over grey schemes than to prohibit"
Another link to ibc was from Costa-Rica: Pacific Sea Invests, S.A. offers online gaming services. The company provides sports betting services through its platform www.12bet.com Address was: No. 435 Calle 36, San Jose, Costa Rica. One more tracking 12bet to that address and Pacific Sea Invests. Last edited by Raabe; 17-01-19, 01:16. Last edited by Raabe; 18-01-19, 16:49. Here you had to guess that bets over 2.0 will be voided. Screens from sportmarket soccer broker. That dynamic lines play trick with themselves. 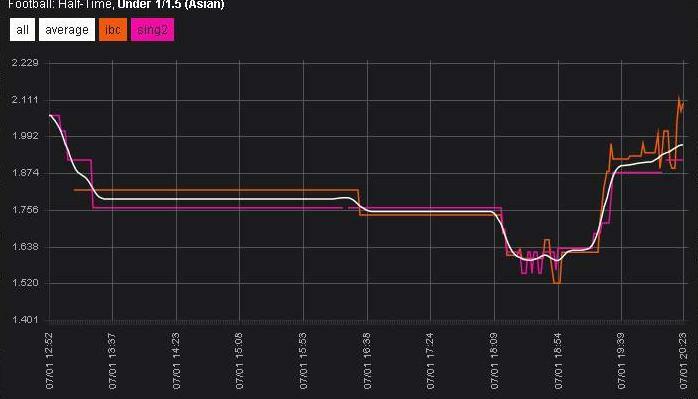 It seems that ibc artificially creates line moves with no real moneyflow supporting it.